Change the way you look at seismic! PaleoScan builds a geologic time model while interpreting 3D seismic. 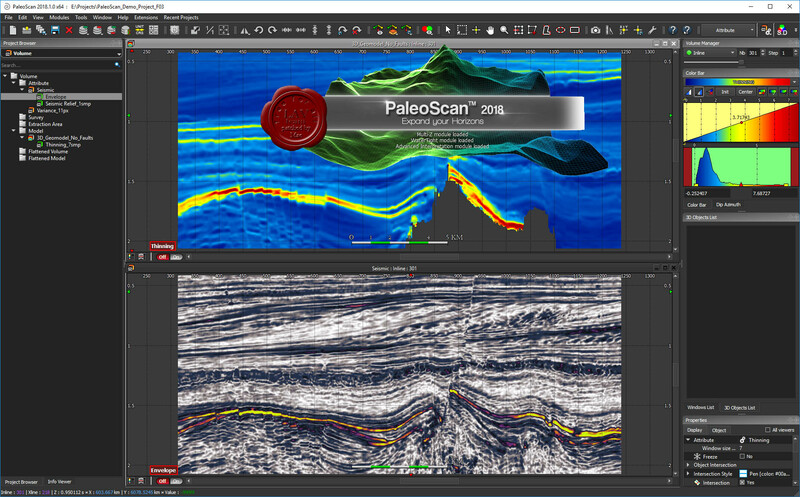 If you want to get more from your data, PaleoScan provides you with a fast and robust way to understand stratigraphy and structure. Thanks to a new approach based on a global minimization methods, PaleoScan aims to compute geologic time model directly from the seismic information. This technology improves the quality of the interpretation and reduces drastically time cycle, compared to classical techniques. Moreover, PaleoScan proposes a suite of derivative applications based on the geologic time model, that will help in the better understanding of the geology and the reservoir characterization throughout the seismic volume. It will improve the quality of your interpretation, reduce time cycles and minimize risks in the E&P decision making process.